When away from the office, my job takes me all over Lancashire. 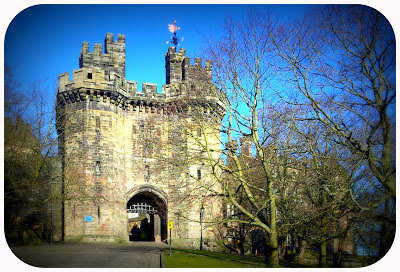 The last two days have taken me to Lancaster and Morecambe on what have been gloriously cold, Spring days. 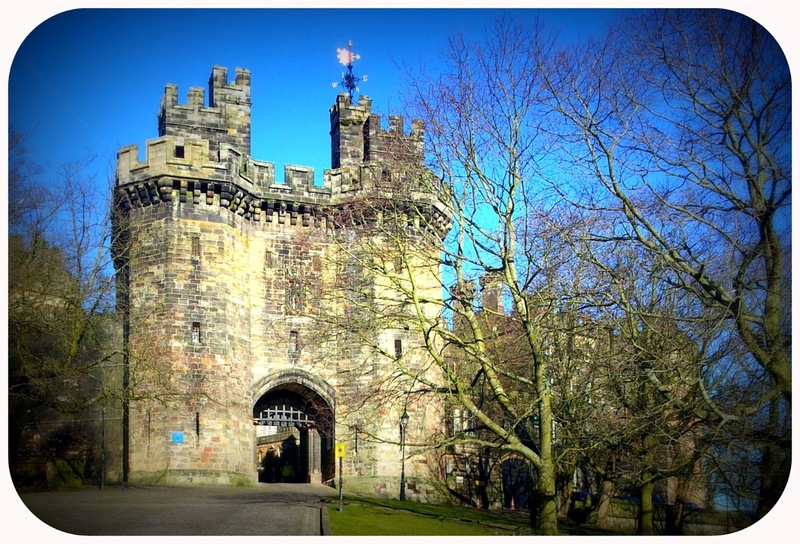 Day one takes me to offices by Lancaster Castle. The back streets of Lancaster are cobbled and my pull-along case full of all my paraphernalia makes a racket as I drag it along. Almost all of the houses are marked with historical plaques or have doorways that would need me to stoop to walk through. The lawn in front of the castle is covered in crocus and the open gates draw me towards them but there isn't time to explore. Day two takes me to Morecambe. For once, I am not encased in an meeting in the grimy back streets but visiting a venture just on the beach front with a glorious vista over the coastline. 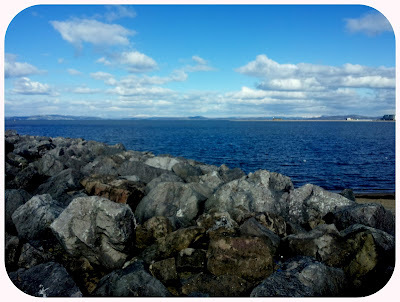 I remembered that I had featured Morecambe Bay once before in a Gallery picture but the (notorious) tide was out that time. I yeared for my proper camera rather than the phone because you can't quite pick out the snow-capped hills of the Lake District in the background. 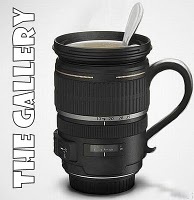 This post is part of the digital photo gallery featured on the Sticky Fingers blog. This week's theme was "The Letter C".